Malaysian-born singer songwriter Nadhira is back following her global travels to find inspiration with her second album "12 Shades"! The album launch was held in Laundry Bar, The Curve on the 28 July 2011. I was honoured to be invited for this launch to support a local artist. We got an exclusive preview of Nadhira's new song and music video "Tear Us Apart" featuring Ron E Jones that was produced by Tom Diesel, both based in Australia. The first single was an amazing song, I was surprised. If I was listening it through the radio, I wouldn't have guessed that it was sung by a Malaysian singer! The song is a seamless duet about the strength and bond of love. It made its national debut through Hitz.FM just recently! Other songs featuring 9 more english tracks and 2 bahasa Malaysia tracks in collaboration with Canadian rapper Vandal and Indonesian raggae ambassador ras Muhamad. Some other talents involved are composer Aldisya Latuihamallo and Producer Wishu Prastowo. 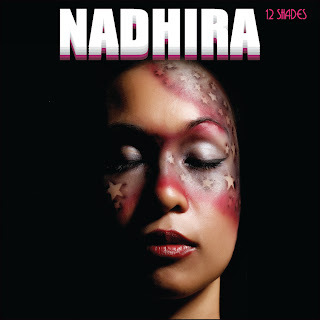 You can preview the video on her official website at www.nadhiraworld.com, Like her on Facebook (www.facebook.com/nadhiramusic) and Stalk her on Twitter (@NadhiraNishaa) for latest updates. Guess Who I Met There?! These are pretty nice shade I like this post. Vermox is best for online order.